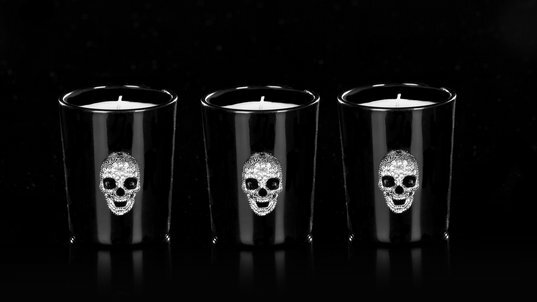 this week we are inspired by dark, so today I have chosen http://www.ahalife.com/ to buy a candle for one of my friends. This online store is a bit expensive, so purchases must be made very carefully, but I am sure that my friend is really special so… let’s go! The architecture of this site is essential, pull-down menus are designed so that the goods on sale are well catalogued and easy to find. I choose the candles, I log into site using the data I use on Facebook, I fill in my address and then I view the bill. Shipping charges, duty and VAT (the base is in the United States) plus price are about 35,00 euro, but the game is worth the candle! Credit cards accepted are Visa and MasterCard and the goods will be delivered in about 3 weeks, just in time to celebrate the last part of this dark winter. I read customer service information at the bottom of page , to make sure about conditions of sale and possibly return of the goods; everything seems to be ok, so I proceed with the purchase! Now I’m waiting and in the meantime I’m following the dark advices of this week! Good shopping to all!